If you are following political news in the U.S., it’s hard not to be thinking about Russia these days. So, it’s no wonder that Russia’s role in the international education community is on our minds, too—including the country’s increasing enrollment draw. You’ve seen us post about the drop in new international student enrollment at U.S. institutions, and the increasing competition represented by China and Canada. So if you are starting to set your sights on recruiting from a select set of African nations (Ghana, Kenya, Nigeria, Tanzania, S. Africa), this is an important blog post for you. "Africa," you say? "I thought we were talking about Russia." It is a globally connected world and we're here to connect the dots for you. 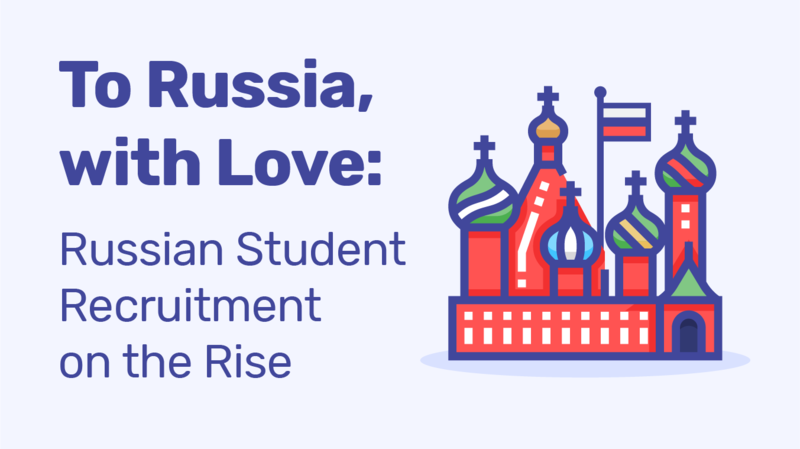 Read on and we'll address Russia’s strengthening enrollment numbers and how that is important to your plans to expand your recruitment efforts in Africa ... so, throw a shot of vodka into your Starbucks cup, and let’s dive in. Maybe it's the jet lag (it's not) but this most recent international jaunt has left me thinking big and getting a bit sentimental about the field we are in. You know all those cynics who refer to the international student recruiting work we all do with disdain saying, “It’s really only about the tuition dollars the international students pay?” Perhaps you can send them a link to this post and shift their thinking just a bit. Last week I was in Moscow presenting on global digital marketing at The Forum on International Education. It was an honor to be invited to play a role in this effort by the Russian Ministry of Education as the government there implements an audacious plan to grow from about 230K international students to more than 700K choosing Russia for their post-secondary education. No small task. 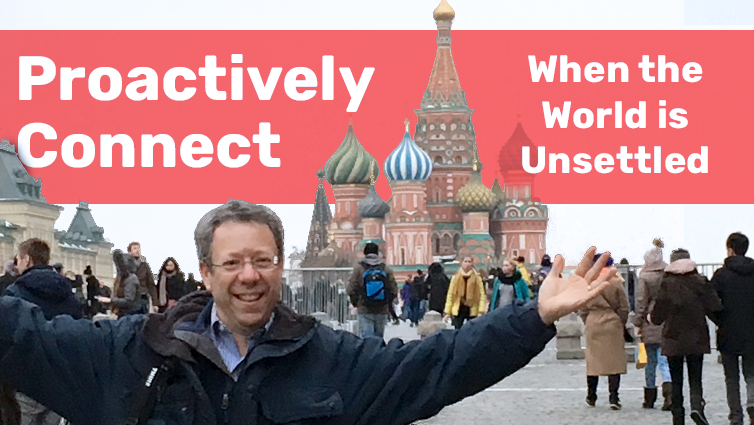 At a time when the American and Russian heads of state are spitting at each other, I found myself in Moscow learning from my colleagues from around the world and taking time to visit many of Russia’s iconic and moving cultural achievements. Each evening, back in my hotel room, CNN told me about how our world leaders were acting in ways that left me more determined than ever. Read on for reflections on the value of your work and the one important thing you can do right now in the face of international turbulence.